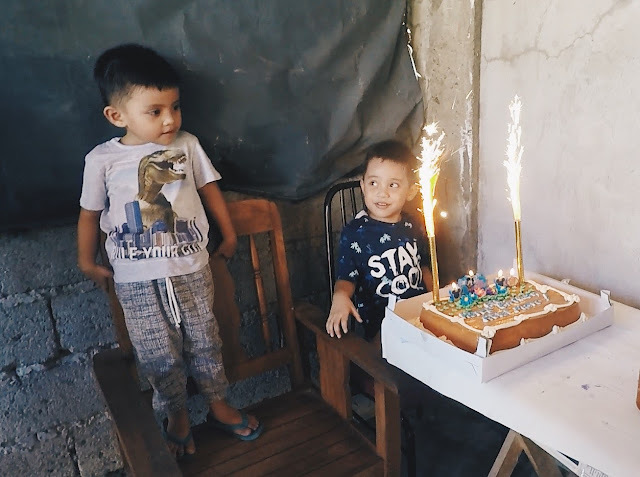 Today, my nephew celebrated his 5th birthday. He is a smart 5 year old and he definitely knows a lot of stuff already. Together with his younger brother who is now 3 years old, these kids are growing up insanely fast. It seems like it was just yesterday when they were still newborn babies and can't even talk. Today, these kids can already make their own decisions and even reason out when they want to do something. Apart from all the celebration we had today, I just realized how life goes by so fast. Every day or every moment that I don't act on my goals or dreams is a wasted opportunity and there's nothing I can do to get those back. So, while life goes on fast forward I better move.